Most Thai television advertising is not subtle: a line of winsome young women, preferably dancing, seems to be the preferred solution to selling everything from chocolates to coffee. Which is possibly why a recent campaign by TMB – formerly Thai Military Bank – has made such an impact. TMB has launched a series of four TV ads recounting the true story of the foundation of Panyee Football Club on a tiny island with so little flat land that they had to build a floating mini pitch out of driftwood before going on to become one of the country’s most successful amateur teams. The ads, which were shot by Australian director Matt Devine using locals from Panyee Island, are a feel-good mixture of humour and inspiration. Each mini-episode ends with a challenge faced by the team and the question “What would you do?” before flashing up the TMB tagline. Paradai Theerathada, who commissioned the ads for TMB, says the bank could not have opted for a more conventional campaign because of its traditional tagline. “Our brand is ‘Make the difference’ so we couldn’t go with the status quo,” he explains. The unwritten subscript is of the underdogs – TMB is Thailand’s sixth-largest bank – using ingenuity and hard work to overcome the challenges of their situation, and on those grounds it succeeds triumphantly. As a co-founder of Club Penguin, one of the biggest virtual worlds for children, Lane Merrifield has led its management, operations and strategy since it was launched it 2005. Since Disney bought the company in 2007, he has overseen development of Walt Disney’s virtual worlds. He is based in Kelowna, British Columbia, Canada. ● I am always up at 6.30am and the first thing I pick up is my iPhone, which I use to read the day’s news. I try to avoid looking at e-mail until I get into the office because you just get sucked in. I have breakfast with my kids and half the time I drive them to school. It is important for me to have the time with them, and I have said to my assistant that “whatever else you need to cram into my day, do it, but I need to be home for breakfast and dinner”. I originally created Club Penguin as an adventure for my children, and it would be terrible for it to end up becoming the thing that takes me away from them. ● Even when I travel, a lot of the time it is with the family. Last week, we were all in Orlando, Florida, where I was presenting to the Disney board of directors. Now we are all in the UK, where I am visiting our offices in Brighton. It is the kids’ first trip across the Atlantic. ● By 8.30 or 9am, I am usually in the office and jump into looking at e-mail. I get a couple of hundred a day and try to respond to most of them, even if it’s only a one-sentence answer. ● My first meetings start at 10am. One thing we look at constantly is the “kids calendar”, so that we think not just about the products we are developing, but what the kids are experiencing. For example, right up to last weekend we were getting ready for the fireworks going off in the US for the Fourth of July. We can’t celebrate every holiday in every country, but we need to be mindful of them – such as knowing when it is bonfire night in the UK or carnaval in Brazil. ● I travel down to Los Angeles about once a month to meet the teams we have in the LA studios. In between trips we videoconference regularly. I love going down there. I am a bit of a Disney nut; my first job was working in the parades at Disneyland. Once in a while I go to a studio lot and even if I don’t really have time, I look through the archives of old props, sets and even notes that Walt Disney himself wrote. ● Lunch is usually in my office with a meeting going on. Once or twice a week we spend time with some of the charities we support. A couple of weeks ago, I wandered into the lunchroom with some senior Disney executives and there was an African children’s choir singing for our staff. ● Those Disney bigwigs were willing to hold a meeting in one of our creative pod rooms, complete with giant beanbag chairs that look like Puffles – the small, hairy creatures that are pets in Club Penguin. We are trying to create the same environment in our office as in our virtual worlds: fun, gracious, warm and friendly. I wanted the Disney executives to remember who our real bosses are: the children that use the sites. ● I spend about half an hour a day in the virtual worlds. My “penguin”, Billy Bob, writes on the blogs. ● Late in the afternoon a spontaneous Nerf – foam ball – battle might break out. I have been in meetings where someone has just come in and started shooting away with a Nerf gun. That is why I keep a Vulcan 25, a giant Gatling gun for Nerf darts, in my office. And a Nerf handgun in my pocket. ● After the kids have gone to bed, my wife and I watch TV, and I have my new iPad on my lap. I play a lot of games, even though I have been dealing with games all day in the office. I go to bed by 11pm and read. Right now I am reading Freakonomics, in print. I have read a few books on the iPad, but I am not fully converted. I am finally turning 30 years young and would love if you could come and celebrate my birthday with me at McDonald's. The theme is 'back to school', so I expect you in nothing less than a school uniform. Birthday parties at McDonald's these days are no longer just for kids. They have been quite a hit with young working professionals, too. The chain has been noticing a trend of more adult birthday parties at its outlets since early last year. Its oldest adult birthday has been for someone in the late 50s. Adult parties make up about 5 per cent of the total number of parties at McDonald's, says the chain's communications director, Ms Linda Ming. But it seems only the Golden Arches offers the appeal of a birthday bash for older folks reliving their cheeseburger youth. When LifeStyle checked with other fastfood outlets such as KFC, such bashes were not a common occurrence. A party at McDonald's, depending on the number of people you invite, would probably set you back a few hundred dollars - far less than what you would spend at a decent restaurant for a quiet sit-down dinner with close ones. It costs $9 for a Happy Meal (kid's portion meal) or $11 for an Extra Value Meal (adult portion) and the party requires a minimum of 12 partygoers. But there is one catch: No alcohol is served. Instead, think of the novelty factor - Happy Meal toys, party hats, sitting in kid- sized chairs and eating at tables for tots (you can opt for normal-sized furniture), and taking every opportunity to scare one another with crazy-looking balloon sculptures. You can almost imagine how it will turn out: a bunch of party-hat wearing grown-ups chasing each other around the premises with gun-like balloon sculptures, fighting to beat each other at musical chairs and then ending it off with speeches and toasts with cups of ice Milo and Coke. One recent birthday boy is shipping executive Gerald Tan, who threw his 29th 'back to school' birthday bash at a McDonald's outlet in Hougang earlier this month. He invited 25 friends to play kiddie games such as passing the ping-pong ball using spoons, dress up in their old (or new) school uniforms and tuck into hamburgers and fries, of course. He says: 'I had always wanted to celebrate my birthday at McDonald's when I was growing up but never had the chance. When he told his cousin, operations manager Jolene Lee, 26, about the party and its school uniform theme, she thought it was hilarious. And like Mr Tan, actor Brendon Fernandez, 31, had also always dreamt of having a birthday party at McDonald's. He threw a 30th birthday bash at the King Albert Park outlet for 30 of his friends last year. His theme: Pink and blue. He admits that he and his grown-up friends were very competitive when it came to the game of musical chairs - they were screaming, shouting and shoving, but all in good fun, of course. Throwing surprise birthday parties for their significant others has also been popular with those in their late 20s. Last year, lawyer-turned-fashion design student Lin Li, 27, threw Mr Leow Yik Shiong, then her fiance now her husband, a surprise 28th birthday party at the McDonald's at King Albert Park. He had mentioned that he never had one as a child, so she decided to do him a favour and throw him one. His friends thought it was an awesome idea. And boys, being boys, will always be competitive. So, what next for these 'oldies' who have finally had a taste of the McDonald's birthday party they had always dreamt of? Luke Wessel was four years old when he figured out how to hide the glucose meter his parents used to monitor his diabetes. He associated the device with uncomfortable finger pricks needed to test his blood sugar, so he hid the meter under rugs or beneath his mattress. "It was like an Easter egg hunt every day," says his father, Paul Wessel, an inventor and entrepreneur. In contrast, Luke treasured his Nintendo (NTDOY) Game Boy—which gave his dad an idea: How about a video game that would reward Luke for every drop of blood he drew? Wessel's brainstorm is now a commercial product backed by German health-care giant Bayer (BAYRY), which purchased the company Wessel founded and brought him on board to launch Didget, the first glucose meter that plugs directly into a game console. Didget went on sale in the U.K. last year. And while Bayer says it's too early to gauge its success, the company plans to roll it out in the U.S. in May. Keeping things simple is crucial to Didget's formula. Once the meter has taken a reading, the user syncs it with a Nintendo DS handheld—the successor to the Game Boy—and boots up an adventure game called Knock 'em Downs World's Fair. The program rewards players for performing a prescribed number of tests each day by bestowing points that speed the player through the game. Additional points are earned for staying within target blood-sugar ranges, which parents can program in. "There used to be days when I didn't want to test," says George Dove, 12, of Nottingham, U.K., who must use the meter as many as eight times a day. "Now, it's fun." Bayer executives are counting on Didget to help them regain the lead they won, then lost, in the $7 billion-a-year diabetes testing market. The company created the first blood-glucose meter in 1973 and dominated the market for the next 20 years, says Sandra Peterson, president of Bayer's Medical Care unit in Tarrytown, N.Y. In the late 1990s, Bayer had as much as 40% of the market. By the time Peterson was hired in 2005, its share had dwindled to 10%. Roche (RHBBY) and Johnson & Johnson (JNJ) have 25% each, according to consultants IMS Health (RX). Nearly 24 million Americans suffer from diabetes, according to the U.S. Centers for Disease Control and Prevention, of which just under 1% are younger than 20. The American Diabetes Assn. expects the total number to double over the next 25 years, which means there will be many more pediatric patients dependent on insulin. Other nations are grappling with epidemics of similar proportions. When Peterson took charge of the Bayer unit, her first move was to hire a new team and spell out a clear mandate. "We had to understand the customer. We couldn't just emulate what others were doing," she says. Bayer boosted the technical capabilities of its meters by shortening the time it took to get results and making the displays more readable. Sales of Bayer's Ascencia Contour meter jumped 53% last year, according to IMS. But what Bayer really needed, Peterson decided, was a whole new direction. Didget and the partnership with Nintendo fit the bill—and presented new challenges. If diabetes patients purchase an ordinary glucose meter, most insurers provide full coverage. Games are another story. Prices for the Nintendo DS system range from $125 to $200, none of which is likely to be reimbursed. On top of that, the meter and game will retail for $75, and only a small portion of that is expected to be covered by insurance. The Bayer-Nintendo alliance is part of a broader push by the drug industry to harvest good ideas from unconventional sources, says Carolyn Buck Luce, global pharmaceutical leader for consulting company Ernst & Young. In November, Sanofi-Aventis U.S. (SNY) launched an iPhone app called GoMeals, which helps diabetics track the nutritional content of foods they eat and locate restaurants that serve meals in keeping with their dietary restrictions. The app, which is free, has been downloaded 63,000 times. Games and apps "represent a major shift from being product-centric to being patient-centric," says Buck Luce. The video game industry has been pushing into health-related entertainment for more than a decade. One of the first efforts around diabetes was a 1995 game for Nintendo systems called Packy & Marlon, featuring two diabetic elephants who taught kids the importance of maintaining glucose levels. Among children who played it over a six-month period, emergency-room visits dropped by 77%, according to a 1997 paper published in the journal Medical Informatics by communications expert Debra Lieberman, one of the game's developers. Diabetic youngsters in the study who played standard shoot-em-up fare showed no such results. If anything, staying glued to a sofa went against doctors' efforts to promote active lifestyles. For that reason, "a lot of families thought video games were evil," says Lieberman, now director of a program called Health Games Research, at the University of California at Santa Barbara. In the end, Packy & Marlon didn't meet sales expectations. "It was a fabulous science story and a not-so-fabulous business story," the researcher says. In 1998, Japanese game company Konami launched Dance Dance Revolution, a music game for arcades that tapped into a physical fitness craze in Japan and the U.S. By 2005, global sales of the game in arcades and on consoles exceeded 7.5 million units. The next year, Nintendo released Brain Age for the DS system, aimed at improving baby boomers' mental acuity. The game sold upwards of 8 million units in its first year. Bayer's approach weaves a painful task, blood testing, right into the entertainment. Since launching Didget, Peterson's team has spent months talking to doctors, parents, and children to help refine the product and marketing plan in advance of its U.S. debut. Among the lessons learned: The content should be updated every six to ten months to hold children's attention, says Richard L. Stadterman, a vice-president of global research and development for Bayer. Some caregivers may be worried about their kids' sedentary behavior, but it's not a deal-breaker, he says. "Parents will do anything to help their children control their disease. They'll spend anything." Paul Wessel, who had to mortgage his house three times while developing the first iteration of Didget, is pleased to see his brainstorm bearing results. "These children are kids first. They have diabetes second," says the inventor, who retired from Bayer last year. The illness doesn't have to ruin their lives, he adds. "I hope we can make the kids see that." With Naomi Kresge. Weintraub is a senior writer for BusinessWeek's Science & Technology department. On Sunday April 16 1989, thousands of people packed Liverpool’s cathedral and the plaza outside for a requiem mass. Overnight, a nun had made a large “Liverpool FC” banner, and it hung by the altar. The previous day, 95 Liverpool fans had been crushed to death at Hillsborough football stadium in Sheffield. As the crowd waited, wrote the sociologist Tony Walter (in his 1991 essay “The Mourning After Hillsborough”), “one lad haltingly darted to the front” and laid a piece of football regalia beneath the nun’s banner. Soon, people were queueing to do likewise. Bruce Grobbelaar, Liverpool’s then-goalkeeper and team clown, read the lesson in a shaking voice. A lone choirboy sang the club’s anthem, “You’ll Never Walk Alone”. It was one of the scenes – along with the million visitors in the following week who turned Liverpool’s Anfield stadium into a fragrant floral shrine – that began to redeem football. Before the Hillsborough disaster, football fans had been treated as a menace to English community. After Hillsborough, it became apparent that fans create much of English community. The FA Cup semi-final between Liverpool and Nottingham Forest kicked off at Hillsborough (all FA cup semi-finals are played at neutral grounds). The game was to end in the sixth minute. What happened at Hillsborough that afternoon became something more than a game or a disaster. It was a turning point. “The game that changed [the nation/sport/world]” is now a commonly used subtitle for sports books but it applies indisputably to this one. At its most fundamental level, Hillsborough remains a human disaster. It changed the lives of the people who lost family and friends that day, such as Trevor Hicks, who travelled to Hillsborough with his daughters Vicki, 15, and Sarah, 19, and went home without them. Hicks later became chairman of the Hillsborough Families Support Group. And that day changed British stadiums: the crumbling fenced-in terraces where Hicks’s girls died have been replaced by arenas as prestigious as opera houses or cathedrals. That change has sparked an ongoing, anguished debate about what sort of nation England is: authentically working-class, or rootlessly middle-class. Most of all, though, Hillsborough’s aftermath gave football an honoured place in English life. “Hillsborough”, as it’s become known in disaster shorthand, was probably inevitable. It was British football’s fourth major fatal crowd disaster since the war. (Four years earlier, in 1985, a fire at Bradford City’s stadium had killed 56 people.) The disaster of 1989 happened because British stadiums were decrepit, and British police were obsessed with hooligans. Liverpool’s visiting supporters at Hillsborough were treated as monsters to be controlled, herded through an underground tunnel into pens behind one goal. A terrible crush developed in the pens before kick-off; and then police opened two gates to let other fans waiting outside the ground in en masse. People in the pens began to die. Many were crushed into the fence that barred them from the pitch. They begged policemen to open the gates and let them on to the field. The police, still on guard against hooligans, refused. In fact, when the crush forced open an emergency gate at the front of the pen, a policeman shut it. Fans turned blue, became incontinent, vomited, died, while policemen shouted at them to “push back”. Bodies – many of them children – began piling up. Meanwhile the football continued before being abandoned at 3.06pm. The horrors continued. Inside the ground, writes Nick Varley in Parklife (Penguin, 1999), another book about football’s transformation in the years after Hillsborough, “there was a ripple of applause as a man lying prone on the pitch responded to mouth-to-mouth resuscitation with a twitch of his feet. It died as he did.” Much of the nation watched all this unfold live on the BBC. Now the nation had to respond. Four days after Hillsborough, The Sun newspaper infamously labelled Liverpool’s fans “animals”, and falsely blamed the disaster on drunken hooligans. However, what’s now forgotten is that in the days after the disaster, much of the British media and establishment blamed the fans, too. The novelist Anthony Burgess, writing in The Daily Telegraph, called crowds “primitive beasts”, and complained: “For many thousands of Britons there is nothing more important on a Saturday afternoon than watching 22 men kicking a piece of leather about. There is something wrong with our culture if we have come to this.” Auberon Waugh, in The Sunday Telegraph eight days after the disaster, wrote – wrongly – of supporters “rioting outside the gate” before kick-off. As for the prime minister, “Margaret Thatcher regarded football supporters as the enemy within,” said one of her few football-loving ministers, Kenneth Clarke, years later. In the 1980s, hooligans were an embarrassment to Thatcher’s rhetoric of law and order. To use the vocabulary of the sociologist Stanley Cohen, from his 1972 book Folk Devils and Moral Panics (Routledge), they were the British “folk devils” of the era, the feared equivalents of mods and rockers in the 1960s or Islamic fundamentalists today. But within days of Hillsborough, the image of the fan had changed. That change began in Liverpool. Thatcher had said in 1987, “There is no such thing as society. There are individual men and women, and there are families.” Liverpool’s response to Hillsborough demonstrated that this city was a society, and more than that, a society held together largely by football. The run-down port town with its Irish-Catholic heritage had always felt slightly apart from the rest of Britain, wrote Walter. Now it banded together. Liverpool’s players attended funerals, counselled the bereaved, became ordinary Liverpudlians like everyone else. Hillsborough happened in a Britain already reeling from three major disasters within two years, all caused by lax safety procedures or decaying infrastructure, or both. First was the capsizing of the Herald of Free Enterprise car ferry in the English Channel (193 dead, March 1987), then the fire at King’s Cross underground station (31 dead, November 1987) and the explosion of the Piper Alpha oil rig in the North Sea (167 dead, July 1988). Yet none of these prompted equivalent communal rituals. The mourning after “Hillsborough” showed that British football wasn’t a socially dysfunctional entertainment for stupid people. It could also be a beautiful, sustaining thing. It could give people a community. Twenty years on, football’s social meaning is now widely understood. Nearly 25m people watch the English national team’s biggest games on TV, about three times as many as see the Queen’s Christmas Day speech. In most European countries, the most popular TV programmes – often the biggest communal events of any kind – are football matches. As I discovered when researching my forthcoming book, Why England Lose, suicide rates in European countries fall when a country’s national team plays in a world cup or European championship. But back in 1989, the game’s impact was scarcely understood. On the Monday after the disaster, the government asked Peter Taylor, a judge in the court of appeal, to write a report on stadiums. The judge, who had stood on the terraces at Newcastle United as a boy, wanted to save football, not to bury it. Above all, he wanted the police to stop locking up fans like “prisoners of war”. Determined not to let a crisis go to waste, he recommended that fences and standing terraces be scrapped. Grounds had to become all-seater. The clubs had intended to keep receiving customers in run-down Victorian sheds. Forced to renovate, they discovered that customers preferred comfort. In the season of Hillsborough, fewer than 20m people had attended English professional matches. By 2006/07 about 30m went, in spite of much higher ticket prices, far more matches being shown live on TV and many new forms of entertainment. It’s often said that football became fashionable in the 1990s. It’s more accurate to say that it became safe. It wasn’t merely that British stadiums improved – though jointly with German grounds they are now the best in football – but football policing was also transformed. British police forces recognised that hooliganism was a sideshow. Hooligans looked spectacular on television but crushes, not thugs, have killed well over 1,000 spectators around the world; another 19 people in Abidjan just a fortnight ago. The death of 39 Juventus fans at the Heysel stadium in Brussels in 1985 is commonly attributed to hooligans, and the Italians were indeed fleeing attacks from opposing Liverpool fans. However, the 39 died only because a side-wall in the crumbling stadium collapsed beneath the weight of escaping supporters, causing a fatal crush. Yet the game’s rebound has prompted widespread disquiet. Higher ticket prices, greater comfort, even better food, have all attracted a new middle-class audience to the “working man’s ballet”. As Nick Hornby, author of Fever Pitch (Penguin), the groundbreaking memoir of life as a football fan, later noted, the picture is of “a lot of horrible pretentious middle-class gits descending on our football grounds and elbowing out the true salt-of-the-earth cloth cap fan”. But the grumblers are missing the point. Many middle-class people have always loved football. A month after Hillsborough, when Liverpool played Arsenal in a match that would decide that year’s English title, the common room at my university was packed to bursting. In spite of their class, most had been following the “working man’s ballet” since childhood. So it wasn’t that the middle classes snatched football away from the working classes. Rather, since 1945 Britain had become ever more middle-class, measured by education and income. At the time of Hillsborough, about 15 per cent of Britons entered higher education. Just five years later, the figure was 30 per cent. Real incomes have trebled between the early 1960s and today, according to figures from UK National Statistics. As a consequence, large numbers of British people who were born into the traditional working class later left it. For many, it was a traumatic uprooting. The remaking of football stadiums – highly visible British gathering-places – has exemplified the national shift in class. Hence the many laments for the lost cloth-capped proletarian crowds. Many Britons are simply mourning their lost roots. The final death toll for Hillsborough was 96 (one man died four years later, having been in a coma). This Wednesday at 3.06pm, 20 years to the minute after “Hillsborough”, Liverpool will stop again. The city’s bells will chime 96 times for the victims of Victorian stadiums and authoritarian policing. For two minutes of silence, Liverpool will become a community. Football can do that, in terrible times and, more usually nowadays, in good times too. The new community is different from the old one. It features fewer cloth caps, and many more women and non-white people. But it does show that Thatcher was mistaken: there is such a thing as society. ● In the 1988-89 football season, the top English clubs played in what was then known as Division One. (It became the Premier League in 1992). Eleven of the 20 top-flight clubs in 1989 are no longer in the Premiership, among them Luton Town, Sheffield Wednesday, Nottingham Forest and QPR. The 1989 league champions, Arsenal, and runners-up, Liverpool, are still among the country’s strongest teams. ● A total of 7.8m people attended English top division football matches in the 1988-89 season. By last season, this had risen to 13.8m. ● Deloitte published the first of its annual surveys of football clubs’ finances in 1992. Then, Tottenham Hotspur had the highest turnover (£18.2m), followed by Manchester United (£17.8m). Notts County, with a turnover of just £1.9m, were in Division One. Twelve of the 22 top division clubs made a profit, compared with just five of 20 Premiership clubs in 2006-2007. Between them, the former Division One clubs had revenues of £170m in 1992. The revenue of the combined Premier League clubs in 2007/8 is projected at £1.9bn. ● In Deloitte’s 2009 Football Money League survey, Real Madrid is ranked first in the world, with revenues of £289.6m (2007/8). Manchester United is second (£257.1m). The other English clubs in the top 10 are Chelsea, Arsenal and Liverpool. Tottenham Hotspur, the richest club in 1992, is now in 14th position (£114.8m). ● In the mid-1980s, ticket prices in the English First Division were around £2.50. Today, in the Premier League, they are nearer £30. That implies a growth rate of around 11.5 per cent a year for nearly quarter of a century, far above inflation. ● In 1988/1989, English clubs were still banned from European competitions because of the violence by Liverpool fans at the European cup final in Brussels in 1985. Today, four of the eight quarter-finalists in this season’s Champions League are English teams. The “last game” of this book’s title took place on May 26 1989, when Arsenal played Liverpool at their Anfield stadium for the final match of the English football season. Arsenal needed to win 2-0 to deprive their illustrious opponents of another league title and win the championship themselves. In a dramatic finish to the season, the north Londoners won 2-0, scoring their decisive goal with practically the last kick of the game. Jason Cowley wasn’t at Anfield. He had a ticket for the original fixture but that was before history changed course six weeks earlier at Hillsborough stadium, where 96 Liverpool fans were crushed to death on the terraces. After a two-week suspension, the season carried on. The match between Liverpool and Arsenal was rescheduled as its final act. Cowley had university final exams and couldn’t make the rearranged date. But he felt the significance of his team’s victory immediately. Now an experienced journalist and editor of the New Statesman, he explores the idea of the match itself as a symbol. Not just the last game of an extraordinary season, but the last game of football as it had come to be seen by the establishment – a decrepit working-class pastime watched by hooligans. A world away from today’s cosmopolitan circus of overpaid players, overpriced tickets and oligarch owners. He resets the scene, describing the young Arsenal team that stood on the brink of greatness – or disappointment – and evoking Anfield’s famous terrace, the Kop, which in the post-Hillsborough switch to all-seater stadiums would lose some of its awesome, swaying humanity. On the horrors of Hillsborough, Cowley is sensitive, though a little brief given that this was the incident that ultimately ushered in the end of an era. The May 26 game itself forms the book’s centrepiece and Cowley provides a textured account of how the day’s events unfolded, detailing everything from the Arsenal players’ afternoon naps to their conflicting accounts of which north London nightclub they visited on their victorious return home. Cowley plays this section straight, perhaps conscious that he didn’t personally witness the match, and aware that Nick Hornby’s 1992 novel Fever Pitch cornered the market in Arsenal fans’ memoirs. It is a pity though that he doesn’t incorporate the memories of some of those fans who were present at Anfield that night. After the main event, the narrative widens. Was a new kind of football on the way? Cowley identifies the cultural forces that started to transform public perception of the game, from rave culture’s mellowing effect on the fans, to New Order’s hip England World Cup anthem a year later. He neatly skirts the issue of the World Cup itself, in which England’s heroic near-miss and Gazza’s tears arguably provided a more literal watershed moment than the game at Anfield. By the 1996 European Championships, the whole country appears to be singing “football’s coming home”. However, it is in this section that the book’s often uncomfortable attempt to juggle memoir and analysis takes its toll. Cowley wanders between reflections on the game as it is now (“too detached from its old class and cultural associations, its regional specificities”) and updates on the torpor he fell into after graduating. It takes the death of his father, who introduced him to football as a boy, to imbue a sense of purpose and kick off his career as a writer. Almost 20 years after the “last game”, Cowley attends a function at Arsenal’s giant new Emirates stadium. The guest of honour is Michael Thomas, scorer of that immortal second goal. Cowley is at a table with someone who has named his two sons Mickey and Thomas. The real Mickey Thomas is asked, as he has been most days since May 1989, to explain how he felt when he was through on goal in the final minute. “Surreal” is his slightly overwhelmed response. For him, as for football, things have never quite been the same since. Edward, my best friend from primary school, came to Bern to see Holland play Romania. I'm not Dutch but I grew up in a small Dutch town, and 30 years ago Edward and I used to phone each other at half-time during Holland's games for breathless analysis. On Tuesday we sat on the pavement in the Swiss sun, had a beer and swapped news about our mothers. Then Edward said: "Simon, all this is unprecedented." It's true. These 30 years the Netherlands has generally been the best small football country on earth, but we've never had a fortnight like this. So far at Euro 2008 we have beaten the world champions Italy 3-0 and the runners-up France 4-1, while our reserves have tossed aside Romania 2-0. Whatever happens in tonight's quarter-final against Russia, this feels miraculous. To try to understand, I've been reading what foreign journalists say about Holland. There is one recurring story: the Dutch always destroy themselves through infighting, but this time they haven't yet. This shoddy half-truth misses the point about Dutch football. Holland are good precisely because our players quarrel about football. And that is particularly true now, because the genesis of the current side was an argument in a hotel room. The Dutch have quarrelled about the game since about 1970, when Johan Cruyff emerged as the father of Dutch football. He said: "Football is a game you play with your head." Every Dutchman who ever placed a pass - and the country usually has the world's highest density of registered footballers - grew up in this tradition. When I was 12 and playing in a kids' team, half of us would go to the snack bar after matches and debate what had gone wrong over frites . The English don't have that tradition. Mark Burke had played for various English clubs when in 1995 he joined the Dutch side Fortuna Sittard. "In England if the manager said it, you just did it," Burke told me. "When I went to Fortuna I noticed how much the players talked." During games, team-mates would call to him: "One metre, one metre left!" Training sessions would be interrupted by 15-minute seminars on the relative positioning of the centre-backs. Burke says: "I really started to understand the shape of the field, horizontally and vertically. In England the only time I had training sessions like that was when I went on coaching courses." Of course the Dutch debates have downsides. Cruyff, who favoured what he called the " conflictmodel " of working relations, quarrelled with the great goalkeeper Jan van Beveren before the 1974 World Cup. Van Beveren didn't go to that World Cup, or the one in 1978. Holland lost both in the final, partly due to goalkeeping errors. The conflictmodel also destroyed Holland at the 1990 World Cup and at Euro 96. This summer, the midfielders Mark van Bommel and Clarence Seedorf have stayed home rather than work with Holland's manager Marco van Basten. And yet the quarrels over football are now helping Holland. In recent years it had become clear that the traditional Dutch formation with two wingers no longer worked. Last autumn Van Basten asked his captain, Edwin van der Sar, to consult the other players about what to do. Van der Sar called a "group of seven" senior players to his hotel room. They proposed playing with just one forward and five midfielders. Van Basten acquiesced. It was exactly the sort of consultation that management books would recommend. It was done without conflict, because Dutch football, after passing from an amateur era through the pop-star 1970s, is now as corporate as football everywhere else. And the employees liked being consulted. Before Euro 2008, two friends of mine organised a football quiz for the Dutch squad. Wesley Sneijder won, with cheating. But what struck my friends was how happy a camp it was. When Van der Sar raised his hand to protest that a question was wrong, the entire squad in unison began chanting, "Losers!" (in English) at the quizmasters. Here in Switzerland the Dutch are even happier. The new formation has worked beautifully. With two defensive midfielders behind them, the creative midfielders are free to create. Nobody is glued to the touchline anymore like a parody of a 1970s winger. Instead of stringing together endless passes, the Dutch now wait until the opposition lose the ball and then break instantly à la Arsenal. The Dutch could absorb a new system only because they think. Each player is a playmaker, making autonomous decisions on the field. When leading 2-0 against the world champions, left-back Giovanni van Bronckhorst decided to gallop 80 metres forward and score with a header. Meanwhile, another player instantly took over his position, because everyone is thinking, and consulting on the field. When it goes quiet during games here, you hear the Dutch players calling out instructions. Dutch football is a fragile plant, and we could easily go home tonight. But if Edward and I are lucky enough to have another beer on some foreign pavement at the World Cup 30 years from now, we might conclude that this week was the peak. On a recent spring afternoon the sound of hammers and saws drifted from my neighbour's house. This was not another example of the feverish construction that is changing the landscape of Delhi. Rather, it was part of a seasonal ritual that transforms homes all over India for the precious cool months of the year. The neighbours were preparing for a wedding. Over the course of the day, carpenters built the frame for a tent and created a temporary foyer of white and red fabric. Trucks loaded with rolled carpets, bolts of cloth, bundles of flowers and assorted equipment pulled up and emptied their wares. In the evening guests were greeted by the bride's sisters dressed in colourful saris and throughout the night the sound of music and singing filled the air. This is a common scene during India's wedding season, which lasts roughly from October to the end of May, before searing heat and monsoon rains set in. In recent months at houses on my street, and indeed all over India, tell-tale signs of weddings sprouted like spring flowers. An otherwise anonymous gate to one property on my street was strung with garlands of bright orange marigolds and dark green paan leaves. Another home was festooned with diaphanous fabric from its rooftops so it resembled a grand ship about to set sail. Across cultures, marriage is one of life's most important rites of passage but in India it is a milestone for which middle-class families assiduously save for years, then go all out to host a marathon of parties and rituals leading up to the wedding. As Indians become wealthier they are spending more to stage elaborate multi-day events leading up to the ceremony. India's $31bn wedding industry is growing at 25 per cent a year, according to a report in the Indian magazine The Week. Today, a reception might be held at a hotel in order to accommodate hundreds of guests and the largest million-dollar weddings are held at venues such as country clubs that can accommodate thousands. But for many Indians, some part of the wedding festivities is still held at home. "Home is where your memories are. You belong in that space," says Chiara Nath, who was married at her parents' home in New Delhi this spring. "The significance of every moment you spent at home before you leave becomes really poignant." The mehndi , a party where the bride and female guests have their hands decorated with henna, is usually held at the home of the bride or her relatives. The sangeet , a party of singing and dancing that precedes the wedding, might also be held at home. "One big reason to have the mehndi at home is to integrate the whole household into the wedding festivities. Relatives and friends gather to celebrate in a more intimate way," says Mohini Bhatia, whose sister Radhika got married in Delhi in March. Yet even in family spaces the look and feel of Indian weddings is undergoing dramatic changes. For Hindu weddings, red and gold hues used to dominate the decor. The flower of choice was the marigold, an auspicious bloom typically used for religious offerings, strung into long garlands on the house. But conventions are shifting. Rising incomes and greater awareness fostered by more travel have made many Indians more demanding and discerning. There are also more cross-regional marriages that might combine elements drawn from the different cultural traditions of the bride and groom. In the past, weddings were organised by the bride's family. Now brides and bridegrooms can have more influence. Pastel shades and light fabrics might replace red and gold hues and heavy cloth. Themed celebrations might draw on different cultures and aesthetics. The ubiquitous marigold might be jettisoned for roses, orchids, lilies and gerbera daisies. Amrish Pershad, a wedding planner who designed the sets for Mira Nair's 2002 film Monsoon Wedding , estimates wealthy upper middle-class Indians spend up to Rs600,000 (£7,300) on design and decor for a single event and as much as Rs2.5m-Rs3m (£30,500-£36,500) for all the expenses of one event, which might include food, drinks, music and service. The costs of the weddings of the wealthiest Indians could amount to the equivalent of millions of dollars, wedding planners say. Preeti Singh, whose daughter married in Delhi this February, hired Pershad to help plan and co-ordinate six events, including the marriage ceremony. Five of them were held at her home in Delhi and her sister's farm - a sprawling estate complete with swimming pool on the outskirts of Delhi. For a cocktail party at Singh's home metres of lime green and yellow fabric were draped from a second-floor balcony over the front yard to transform the house into a pastel cocoon. Pershad, originally a florist, covered the front gate with delicate roses and used hanging ivy and creepers to hide parts of the house from view. Instead of setting the residence ablaze with white lights, as per convention, he subtly interspersed strands of lights amid the ivy. The farmhouse was the venue for the sangeet , which was themed around Buddha. Statues of the deity, paintings and candles were set up at the party, attended by 700 people who danced to Hindi pop music played by a disc jockey. It was just one in a series of events in the week leading up to the wedding that transformed the farmhouse day after day, like a theatre set. The mehndi had an Indian "village" theme, where 350 guests ate, drank and mingled beneath large umbrellas made from old saris, "like in Mughal times", says Singh. "Vendors" gave guests bangles, hand-crafted shoes and hair ties as though a village mela (or "gathering" in Hindi) had been transported to Delhi. About 600 people attended the outdoor wedding reception, which had an "English" theme characterised by pink tablecloths, rose bouquets and a canopy draped in pink fabric. Traditionally, the home of the bride's family would be open to visiting family members for about a week before the wedding but in return for access to an open house of eating, singing and celebration, relatives would take charge of organising food, decorations, flowers and other tasks. But times have changed. "Now no wedding goes without a wedding planner," says Singh. "In the old days you just had a caterer and the tent- wallah [wallah denotes a vocation in Hindi] would do the needful." Families used to cook for themselves. Now caterers are de rigueur and more exotic menus are in demand. "Now you have to have sushi, Chinese and continental food," adds Ms Singh. Pradeep Bedi, another Delhi-based wedding planner, says the marriage industry has gone through enormous changes in the past five years. "People are coming up with their own ideas. They are concerned about minute details now." He attributes the shift in attitude to increased spending power of middle-class Indians, not to mention "Indian movies showing glamorous things". Arab, Hollywood, Bollywood and a "crystal ball" are themes he has recently worked to produce. As expectations increase, so does the pressure to stage ever more opulent events. Although Singh says an impressive wedding means you've "said goodbye to [your daughter] in the best manner you could ever do", she also laments that they are becoming too commercialised. But in another take on the tailoring of the modern Indian marriage celebration prompted by increasing affluence, Chiara Nath had a simple, elegant event at her parents' farmhouse on the outskirts of Delhi. Only 250 guests were at the sangeet and just 80 people attended the reception. Nath said there was initially great resistance to the idea of such a small occasion from her parents. She was told she would offend a lot of people by restricting the guest list but Nath, a designer who lives in the coastal state of Goa, insisted on a pared-down event. "For me, none of that formality was necessary." Her restrained aesthetics shocked Bedi, her wedding planner. She requested cream hues and gold accents for the reception tent, table cloths and chair covers. "Mr Bedi thought I was crazy," admitted Nath, explaining he thought the palette was too cold and drab, especially as white is the colour of funerals in India. "I said: 'It's OK. Less is more.' It was an exercise in patience," said Nath. Ultimately, Bedi was converted to her vision. Weeks later he lauded the wedding as "subtle, simple and classy". And though the celebration was more restrained than most, the result was an intimate affair held at the bride's childhood home. "I wanted it simple," said Nath. "I did what was most necessary to me." Through all his games, his designs are marked by an accumulation of care and detail. Given that its roster of characters includes not only Mario and Donkey Kong but also Princess Peach, Zelda, Bowser and Link, it’s easy to imagine that Mr. Miyamoto designs his games around those characters. The truth is exactly the opposite. According to Mr. Miyamoto, gameplay systems and mechanics have always come first, while the characters are created and deployed in the service of the overall design. That means a focus on the seemingly prosaic basic elements of game design: movement, setting, goals to accomplish and obstacles to overcome. Mr. Miyamoto’s work is evolving from a reliance on invented characters and fanciful, outlandish settings like Mario’s Mushroom Kingdom or Zelda’s mythical Hyrule. With games like Nintendogs (inspired by his pet Shetland sheepdog), Wii Sports, Wii Fit and coming next, Wii Music, Mr. Miyamoto is gravitating toward everyday hobbies: pets, bowling, yoga, Hula-Hoop, music. It is as if an artist who had mastered the abstract had finally moved into realism. It has proved the perfect strategy as Nintendo reaches out to nongamers who may not care to understand why this frantic plumber keeps jumping on top of turtles, or why that gallant fellow in green has to keep rescuing the same princess over and over. At this moment, when consumers crave the ability to shape and become a part of their entertainment, whether through MySpace or “American Idol,” the latest star in Nintendo’s stable of characters is you — or rather Mii, the whimsical avatar Wii users create of themselves. Shigeru Miyamoto illustrates the Wii Fit system, a new interactive physical fitness device from Nintendo. IT’S O.K. to liken Shigeru Miyamoto to Walt Disney. 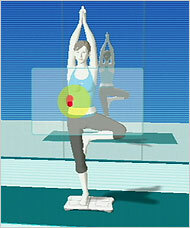 An image from Wii Fit. 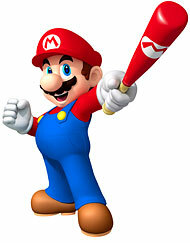 Mario Super Sluggers for Wii. Characters and a scene from Donkey Kong. When Disney died in 1966, Mr. Miyamoto was a 14-year-old schoolteacher’s son living near Kyoto, Japan’s ancient capital. An aspiring cartoonist, he adored the classic Disney characters. When he wasn’t drawing, he made his own toys, carving wooden puppets with his grandfathers’ tools or devising a car race from a spare motor, string and tin cans. Even as he has become the world’s most famous and influential video-game designer — the father of Donkey Kong, Mario, Zelda and, most recently, the Wii — Mr. Miyamoto still approaches his work like a humble craftsman, not as the celebrity he is to gamers around the world. Perched on the end of a chair in a hotel suite a few dozen stories above Midtown Manhattan, the preternaturally cherubic 55-year-old Mr. Miyamoto radiated the contentment of someone who has always wanted to make fun. And he has. As the creative mastermind at Nintendo for almost three decades, Mr. Miyamoto has unleashed mass entertainment with a global breadth, cultural endurance and financial success unsurpassed since Disney’s fabled career. In the West, chances are that Mr. Miyamoto would have started his own company a long time ago. He could have made billions and established himself as a staple of entertainment celebrity. Instead, despite being royalty at Nintendo and a cult figure, he almost comes across as just another salaryman (though a particularly creative and happy one) with a wife and two school-age children at home near Kyoto. He is not tabloid fodder, and he seems to maintain a relatively nondescript lifestyle. Mario, the mustached Italian plumber he created almost 30 years ago, has become by some measures the planet’s most recognized fictional character, rivaled only by Mickey Mouse. As the creator of the Donkey Kong, Mario and Zelda series (which have collectively sold more than 350 million copies) and the person who ultimately oversees every Nintendo game, Mr. Miyamoto may be personally responsible for the consumption of more billions of hours of human time than anyone around. In the Time 100 online poll conducted this spring, Mr. Miyamoto was voted the most influential person in the world. But it isn’t just traditional gamers who are flocking to Mr. Miyamoto’s latest creation, the Wii. Eighteen months ago, just when video games were in danger of disappearing into the niche world of fetishists, Mr. Miyamoto and Satoru Iwata, Nintendo’s chief executive, practically reinvented the industry. (Mr. Miyamoto’s full title is senior managing director and general manager of Nintendo’s entertainment analysis and development division.) Their idea was revolutionary in its simplicity: rather than create a new generation of games that would titillate hard-core players, they developed the Wii as an easy-to-use, inexpensive diversion for families (with a particular appeal to women, an audience generally immune to the pull of traditional video games). So far the Wii has sold more than 25 million units, besting the competition from Sony and Microsoft. In an effort to build on this success, last week Nintendo released its new Wii Fit system in North America, a device that hopes to make doing yoga in front of a television screen almost as much fun as driving, throwing, jumping or shooting in a traditional game. Though there were no hard sales figures available as of Tuesday, there were reports of stores across the country selling out of Wii Fit. Mr. Miyamoto graduated from the Kanazawa College of Art in 1975 and joined Nintendo two years later as a staff artist. 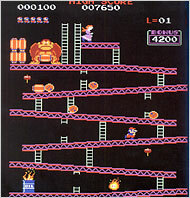 The original Donkey Kong was a prime force in gaming’s early surge of popularity, along with arcade classics like Space Invaders, Asteroids and Pac-Man. He rose quickly at the company, and his name has been synonymous with Nintendo since the 1980s, when the original Mario Bros. games helped save the industry after the collapse of Atari, maker of the first broadly popular home console. When Atari failed amid a slew of unpopular games, Nintendo rekindled faith in home gaming systems; the Nintendo Entertainment System, released in the West in 1985, became the best-selling console of its era. Since then Mr. Miyamoto has been directly involved in the production of at least 70 games, including recent hits like Mario Kart Wii, Super Smash Bros. Brawl, Super Mario Galaxy and The Legend of Zelda: Twilight Princess. Mr. Miyamoto supervises about 400 people, including contractors, almost entirely in Japan. The popular new installments in classic game franchises have maintained his credibility among core gamers even as he has reached out to new audiences with mass-market products like the Wii. Through all his games, his designs are marked by an accumulation of care and detail. There is nothing objective about why a goofy guy in blue overalls like Mario should appeal to so many, just as there is nothing objective in how Disney could have built a company on talking animals. Rather, the reason I stood in line at a pizzeria more than 20 years ago to play Super Mario Bros., the reason Mr. Miyamoto is almost a living god in the game world, is that his games have some ineffable lure that inspires you to drop just one more quarter (or, these days, to stay on the couch just one more hour). Nintendo is expected to release more details about Wii Music this summer, but the basic concept is that while popular music games like Guitar Hero and Rock Band allow players only to recreate canned tunes, Wii Music will try to enable users to capture the feelings of composition and improvisation. “We’re trying to create an experience where people are very simply able to get the feeling like maybe they’re creating music,” he said. With a track record like his, it would be foolish to bet against him. When it comes to the Walt Disney of the digital generation, no one knows fun better.